ICICI Bank was originally promoted in the year 1994 by ICICI Limited, an Indian financial institution, and it was a wholly-owned subsidiary. ICICI's shareholding in ICICI Bank was reduced to 46% through a public offering of shares in India in fiscal year 1998, an equity offering is in the form of ADRs listed on the NYSE in fiscal 2000, ICICI Bank's acquisition of Bank of Madura Limited in an all-stock amalgamation in fiscal the year 2001, and secondary market sales by ICICI to institutional investors in fiscal 2001 and fiscal 2002. ICICI was formed in 1955 at the initiative of the World Bank, the Government of India and representatives of Indian industry. The principal objective was to mostly create a development financial institution for providing medium-term and long-term project financing to Indian businesses. In the early 1990s, ICICI transformed most of its business from a development financial institution offering only to the project finance to a diversified financial services group offering a very much wide variety of products and services, both directly and through a number of subsidiaries and affiliates like ICICI Bank. 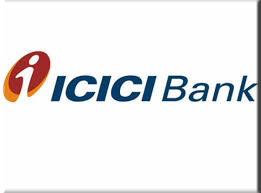 In the year 1999, ICICI become the first Indian company and also became the first bank or financial institution from non-Japan Asia to be listed on the NYSE. For over five decades, the ICICI Group has partnered India in its economic growth and development. Promoting inclusive growth has been a priority area for the Group from both a social and business perspective. The ICICI Group strives to make a difference to its customers, to the society and to the nation's development directly through its products and services, as well as through development initiatives and community outreach. ICICI Foundation for Inclusive Growth (ICICI Foundation) was founded by the ICICI Group in early 2008 to carry forward and build upon its legacy of promoting inclusive growth. ICICI Foundation works within public systems and specialized grassroots organizations to support developmental work in four identified focus areas. It is committed to investing in long-term efforts to support inclusive growth through effective interventions. Mr. K. Vaman Kamath is the Chairman of the Board of Directors of ICICI Bank Limited. Mr. Kamath has a degree in Mechanical engineering and did his management studies at the Indian Institute of Management, Ahmedabad. He started his career in 1971 at ICICI, an Indian financial institution. Ms. Chanda Kochhar is the Managing Director and Chief Executive Officer (CEO) of ICICI Bank. Ms. Kochhar started her career in 1984 at ICICI in its projects department. She has good experience in the field of corporate credit, infrastructure financing, e-commerce strategy and retail business. Subrata Mukherji has over thirty years of experience in the financial services industry and a keen understanding of the various facets of the Indian economy. He was earlier Managing Director & CEO of ICICI Securities Ltd., the largest integrated securities firm in India covering the needs of corporate. Starting in March 2011, ICICI Foundation gave ICICI Bank employees the opportunity to save lives during the time it takes for a tea break. At the blood donation drive held at ICICI Bank corporate headquarters in Mumbai, employees were able to do their part to help bridge the gap between the nine million units of blood India requires every year and the seven million it collects. The three-day blood donation drive has drew into an overwhelming response with over 600 employees donating. Based on this success, ICICI Foundation will be holding blood donation drives at other ICICI Group offices in India, beginning with more drives in the Mumbai metropolitan area.ICICI Foundation aims to organize the drives on a regular basis between May and August when most blood banks face shortages. Blood donation provides an ideal platform to engage employees and fulfill community needs since it can be done in any location and only requires 15 minutes per donor. ICICI Bank has recently begun an employee volunteering programme in which ICICI Bank employees lead financial literacy trainings to youth. ICICI Foundation has created customised and innovative learning materials for the 10-hour course that covers all the financial basics. The programme is currently underway in Mumbai and Jaipur. India has an urgent need to create employment opportunities for those below the poverty line. The Foundation's first steps in its sustainable livelihood initiative will be to strengthen two Rural Self-Employment Training Institutes (RSETIs) in Udaipur and Jodhpur, run by ICICI Bank.